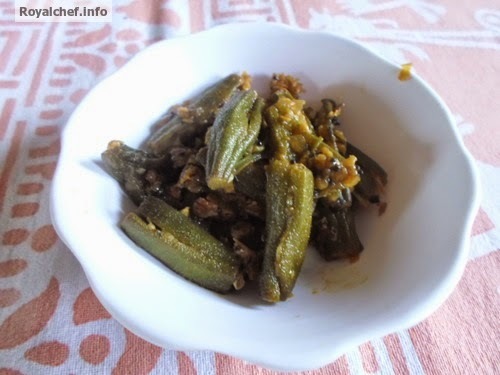 This is a Recipe for at home tasty typical Maharashtrian Style Goda Masalyachi Bharli Bhindi. (Stuffed Bhindi). This is speciality main course vegetable dish from Maharashtra. 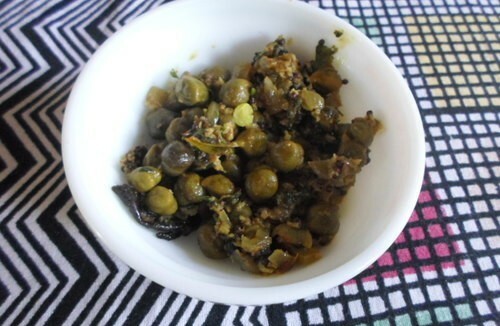 Follow the steps given below to easily prepare this Lady Finger dish at home. Wash and cut the sides of the Lady Fingers and make two pieces of each Lady Finger and then slit the Lady Finger horizontally like a cross line up to the three fourth portion and keep them aside. Mix the chopped Onion, grated Coconut, Coriander, Red Chili Powder, Goda Masala, Turmeric Powder and salt and prepare a mixture. Then fill half-teaspoon mixture in a each piece of Lady Finger in a slit portion. Heat the Oil in a Kadhai, prepare Tadka, and then add stuffed Lady Finger. Mix it well and cover with a stainless steel plate. Cook for five- seven minutes on a slow flame. Remove the plate and then add Tamarind Juice. Mix it well and cook for two three minutes. Add Jaggery and mix it well and then cook for two minutes on a slow flame. 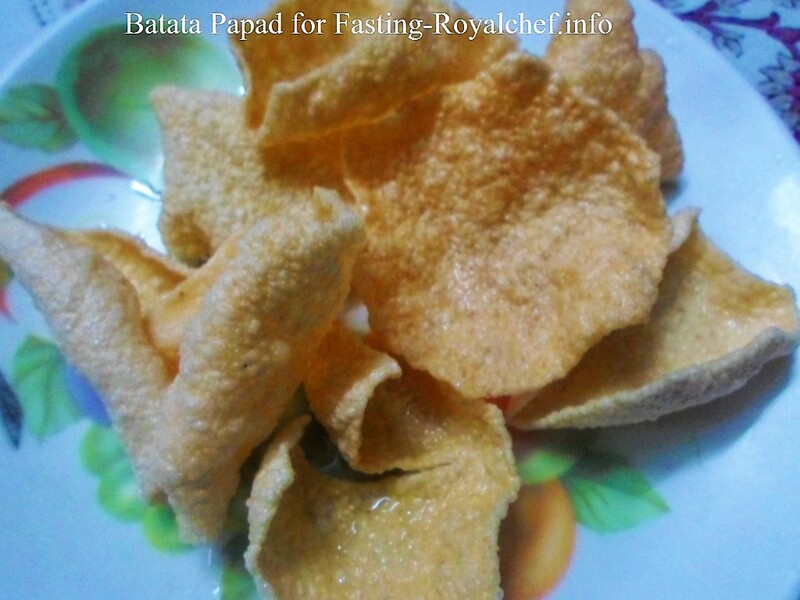 Serve hot with a Chapatti.